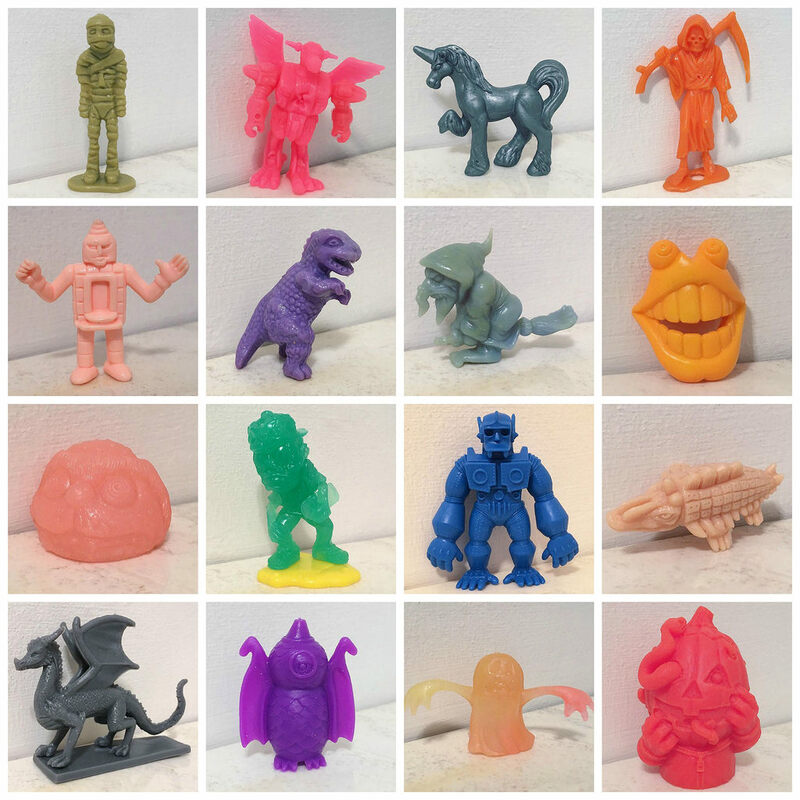 Micro Mutants is another excellent capsule machine toy offering that appeared recently. 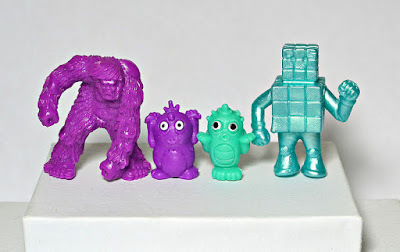 I had to track some down as soon as I laid eyes on them. Unlike most modern-day monster toys, what's great about these is that the designs aren't cutesy or overly stylized. 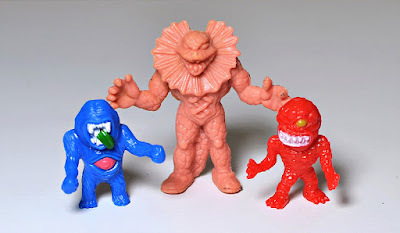 They are genuinely creepy, bizarre mutants. 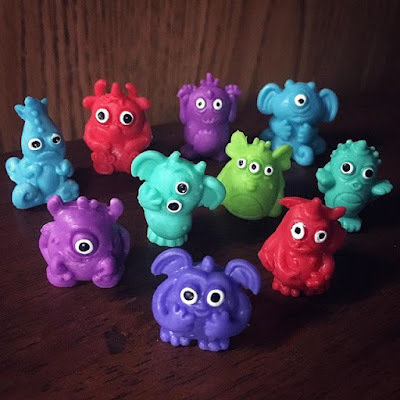 I'm pretty sure these first appeared sometime in 2018. They can currently be ordered in bulk online through vending suppliers such as gumball.com (which offers bags of 100 and bags of 250), where the description for the set reads: "Look what just crawled out of your nightmares! With their menacing eyes and sharp teeth, these creepy creatures will leave an impression on customers of all ages...Be sure to get your hands on these micro mutants before they get their hands on you!" 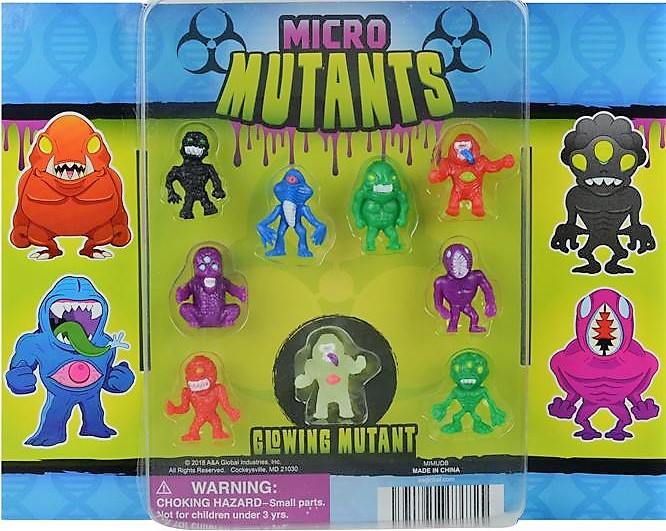 See below for the lowdown on Micro Mutants, plus some more images. 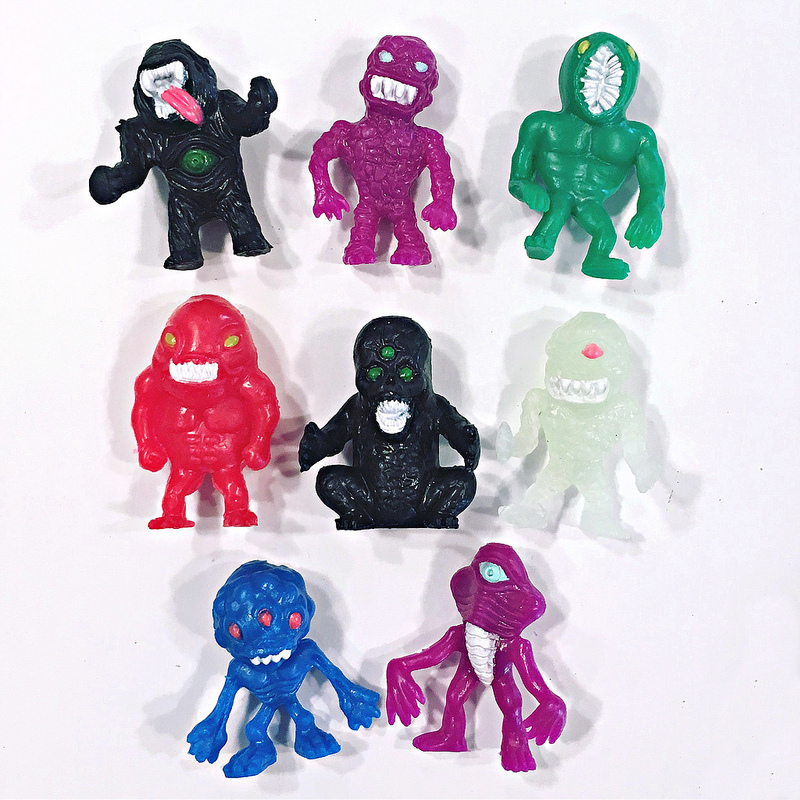 The set consists of 8 different sculpts that each come in 6 different colors. The available colors are black, purple, green, red, blue and glow in the dark translucent white. 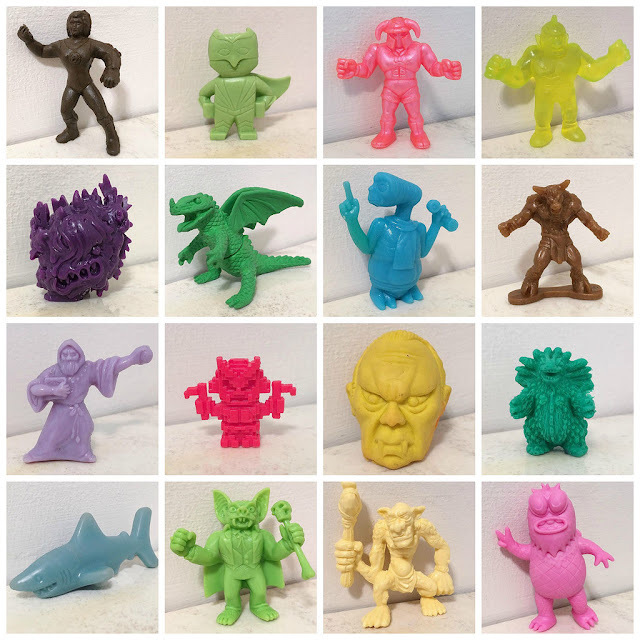 The glow white is called out specifically on the vending display card as a "Glowing Mutant," but it didn't seem any less common than the other colors in the bag of 100 I ordered. 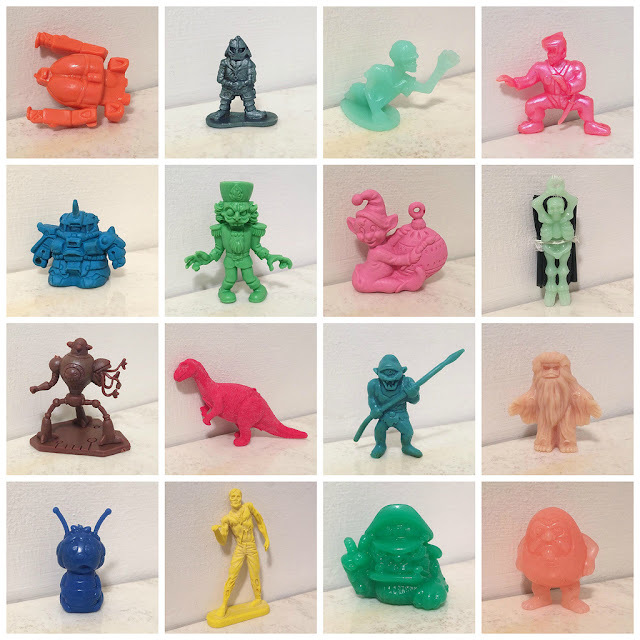 The figures are about 1" tall. 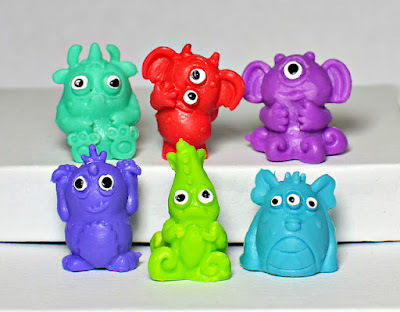 Each figure has minor painted details, mainly mouths and eyes. 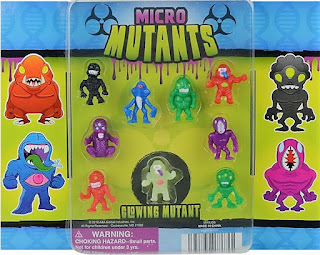 I think the Micro Mutants are great figures with interesting sculpts, especially for being so tiny. What about you? 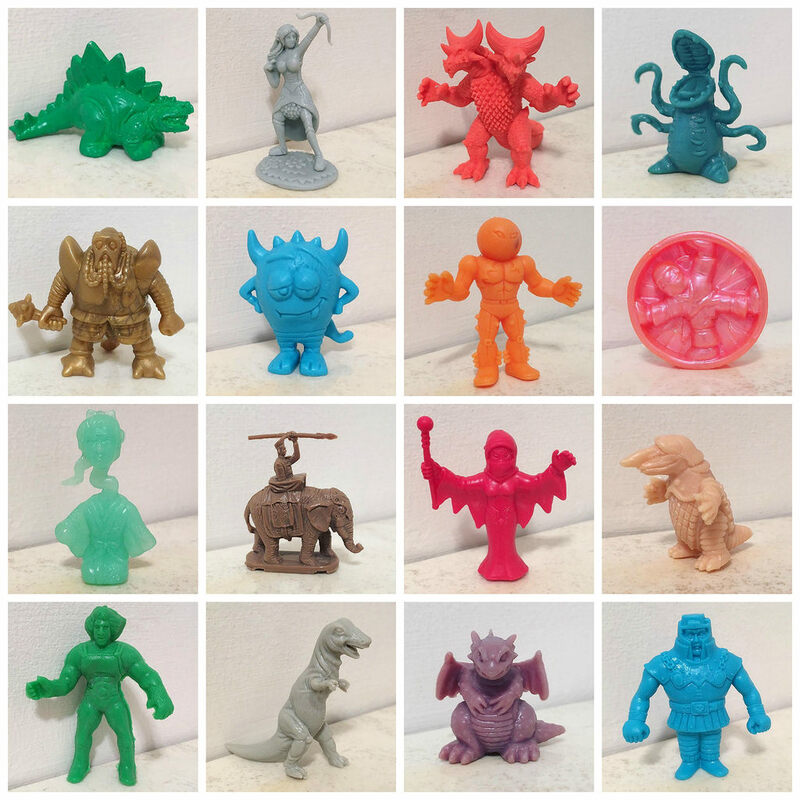 Have you come across these little weirdos, or do you plan to track any down? 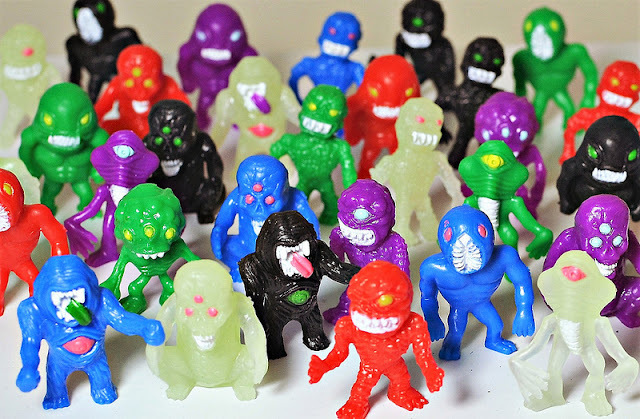 There's been some decent capsule machine toys showing up recently, including these little buggers -- Wee Beasties! 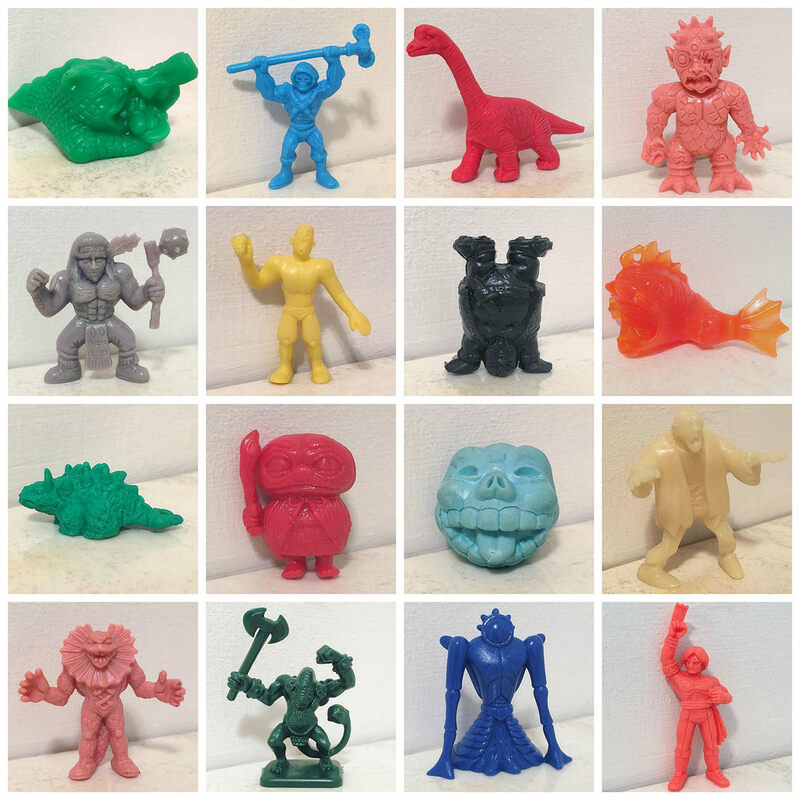 Google "Wee Beasties" and you'll find a Texas-based punk rock band, but further down in the search results (much further), you'll find this mini figure set that I believe first showed up sometime in 2018. 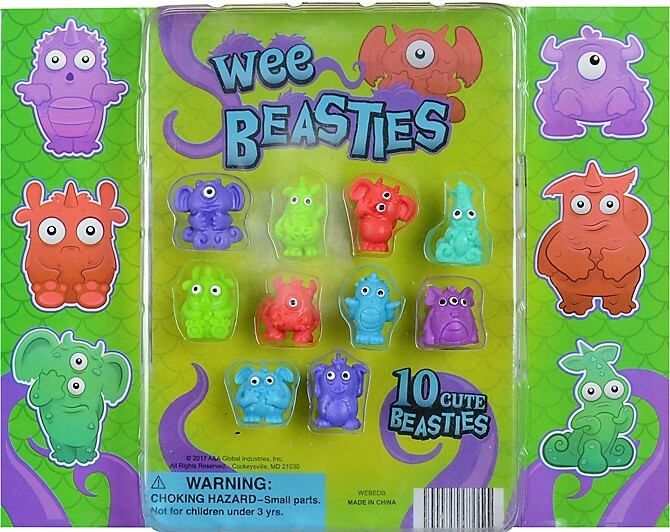 The Beasties are billed as "cute" on their vending display card. I'm usually not a big fan of cutesy depictions of monsters, but these feature sculpts that are still pretty interesting and appealing despite their cuteness. 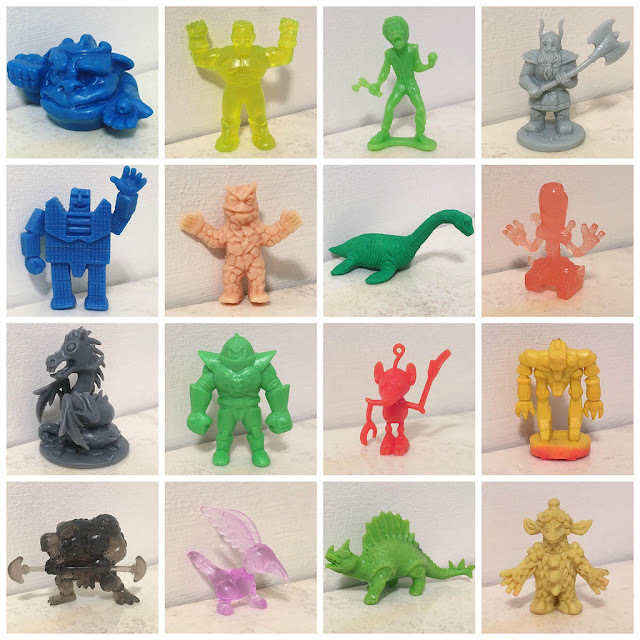 They're worth picking up if you see them out and about, or if you choose to order them in bulk online through companies such as Geddes (which sells bags of 100 figures) or A&A Global Industries (which sells bags of 250 figures). 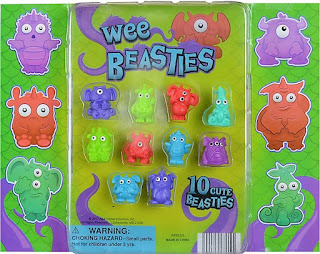 Below are some basics about the Wee Beasties as well as a few additional photos. 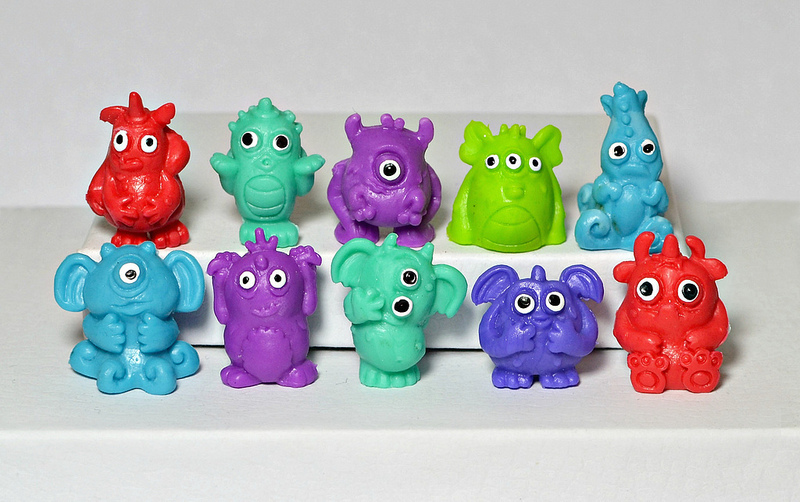 The set consists of 10 different sculpts that each come in 6 different colors. 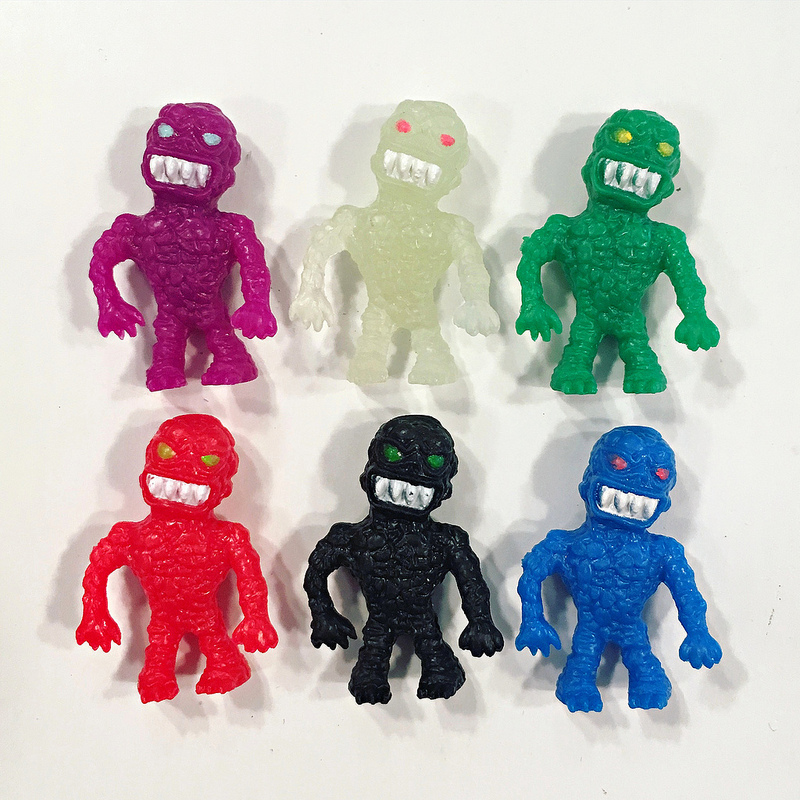 The available colors are red, lime green, aqua, blue, indigo and purple. 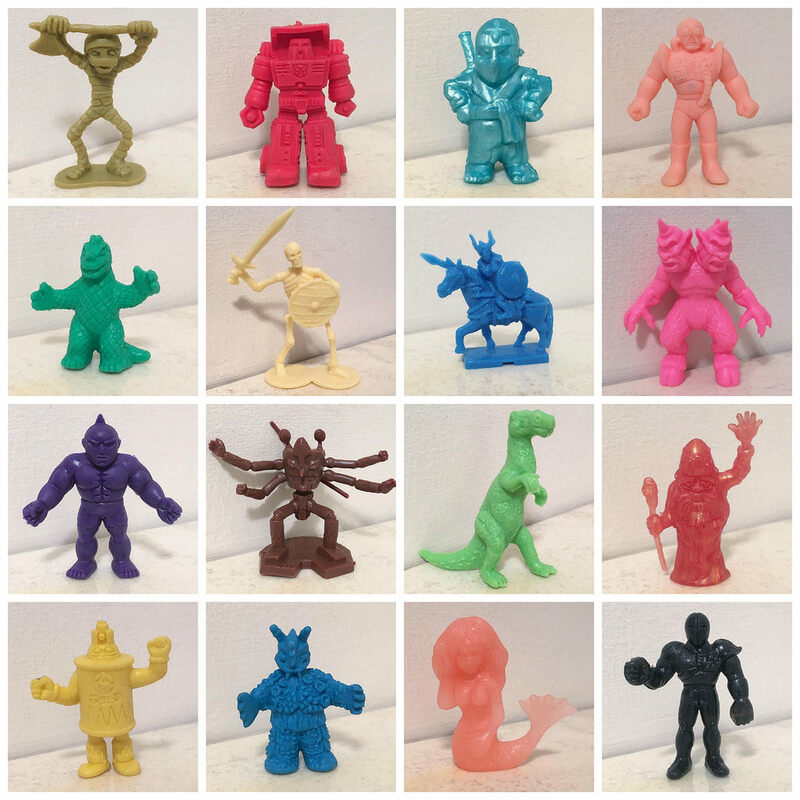 They are made of a sturdy plastic that's firm but has a tiny bit of give to it (think MUSCLE). They are monochromatic except for white and black painted eyes on each.